This Uniball Pin Drawing Pen has a 0.05mm nib. The Mitsubishi Uniball Pin Drawing pen writes with highly secure, water resistant ink that will not fade over time. This pigment ink therefore protects against document tampering. The ink is also fast drying so prevents smudges and smears. This Uniball pen is ideal for everyday writing tasks and detailed drawing or sketching work. 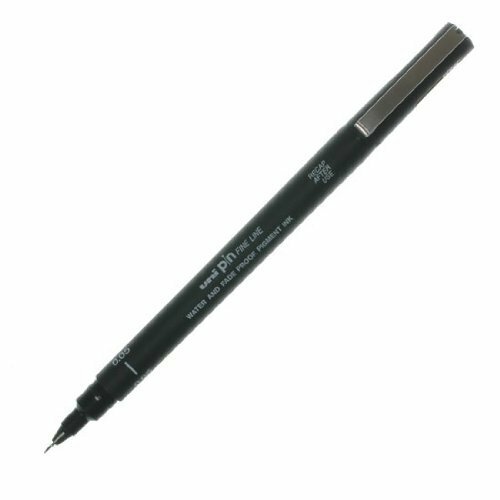 The highly economical Uniball Pin Drawing Pen features waterproof and fade proof pigment ink. Ideal for sketching, stencil and technical drawing.